"It was a huge deal. No Dane had ever won the award before, so it bought me a lot of respect here at home." The award, the Theo van Rens Best Paper Award, was given to Finn and his colleagues by the ESSKA at its bi-annual congress, a distinguished event for orthopedic surgeons and sports medicine specialists. The award meant that Finn’s paper would be published in ESSKA’s prestigious journal, a high-calling for any sports medicine expert. “It was really the best of the best of scenarios,” he says. The award also meant a great deal to Injurymap – and, of course, Injurymap’s users, who benefit from Finn’s expertise. Finn’s winning paper concerned the treatment of plantar fasciitis, a disorder of the plantar arch tendon that supports the plantar foot arch. 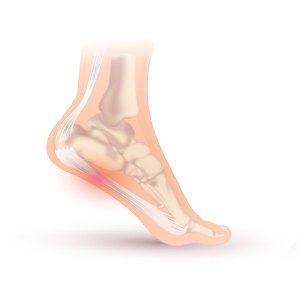 Plantar fasciitis affects about 1 in 10 people at some point in their lives and it’s one of Injurymap’s most popular diagnoses. "We had three randomized groups of 30 patients each. The first group was treated using controlled strength training, the second group with a series of injections, and the third group with a mix of both." You can rehabilitate your plantar fasciitis using Finn’s exercises in Injurymap. Download Injurymap from your app store and select “Arch tendon” when prompted. See you in the app!